That is about to change now as it has just set the the fastest 0-400km/h run for a production car with a timing of 32.6 seconds. 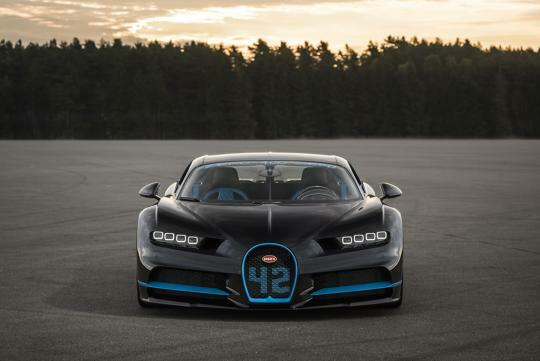 In fact, in the hands of ex-formula 1 racing driver, Juan Pablo Montoya, the Chiron also set a new world record for the 0-400-0km/h run which was completed in only 41.96 seconds. The run was done in an impressively short distance of just 3.112km. According to Bugatti, it is the fastest time ever reached and officially measured for this driving maneuver for a production vehicle throughout the world and represents "the first step on the way to a new world speed record for production vehicles". An official run for the hypercar's top speed is said to happen in 2018. Since young, Fai Ming has always centered his life around cars. In fact his first word was 'car' and not 'mum' or 'dad'. Aren't kids cute?